Founders Executive Diamond, Howie Danzik, advises new IBOs and emerging leaders to "Think like a business owner, set achievable goals, work hard and success will come." By following their own advice for 24 years, Howie and his wife, Theresa, have achieved their goals, fulfilled many dreams, and earned the respect of IBOs in their group and throughout North America. 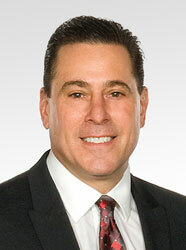 Howie is currently serving his third term on the IBOAI Board. "I am honored to be an elected member of the Board and selected by my colleagues to act as Vice Chair of the Board. I enjoy the teamwork and camaraderie with each other and the Amway staff. It benefits all IBOs." Being goal-driven and conscientious, Howie has been a motivating force on the Board. His powerful communication and organizational skills make him an excellent leader. Prior to becoming an IBO, Howie was a sports physical therapist. He and Theresa are the proud parents of three children: Isaiah, Gabriel and Elisha-Joy. Howie, a sports enthusiast loves being involved in his children's sports and outdoor activities. The Danziks help support several ministries and non-profit organizations financially, including Compassion International®, Marilyn Hickey Ministries, and various other ministries.